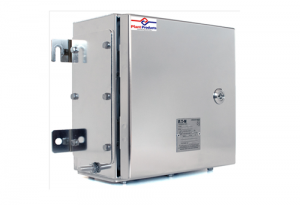 The N-TB enclosure has been specifically designed for installation in locations with aggressively hostile environmental conditions. These include such locations as petrochemical hazardous areas, pharmaceutical, food process and utility applications. Manufactured from high quality stainless steel that is electro-polished for a highly corrosion resistant “Chromium enriched“ surface. 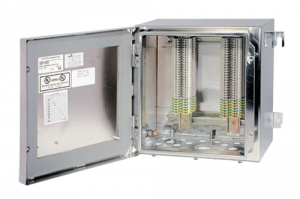 This multi certified enclosure is available in different sizes and depths, each with the facility for many configuration possibilities for a multitude of applications. 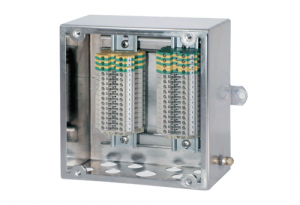 The Ex-Cell enclosure range is an ATEX certified enclosure / termination solution for category 2 (Zone1) application with an ingress protection of IP66. Ex- Cell is available in a comprehensive range of sizes, each with the facility for various configuration possibilities for a multitude of applications. Using the highest quality materials, some unique design benefits and precision manufacturing, the Ex-Cell range is the benchmark in enclosure for both instrumentation and electrical applications. The ST-B range is an “ATEX certified” terminal box solution available in various options of materials and finishes fully compliant with the impact, thermal and ingress requirements of EN 60079-0 ff. and EN 6124-0 ff. and is available in a comprehensive range of 12 different sizes. With for the possibilities many configuration for a multitude of appli cations. Using the highest quality materials, unique design benefits and precision manu facturing the S-TB range is the benchmark in heavy-duty gauge enclosures of its class.